Powerful lamp that projects an encoded beam. Concentric glass rings surrounding the lantern that refract its rays to intensify them. Lamp in which a filament heated by an electric current produces light rays. 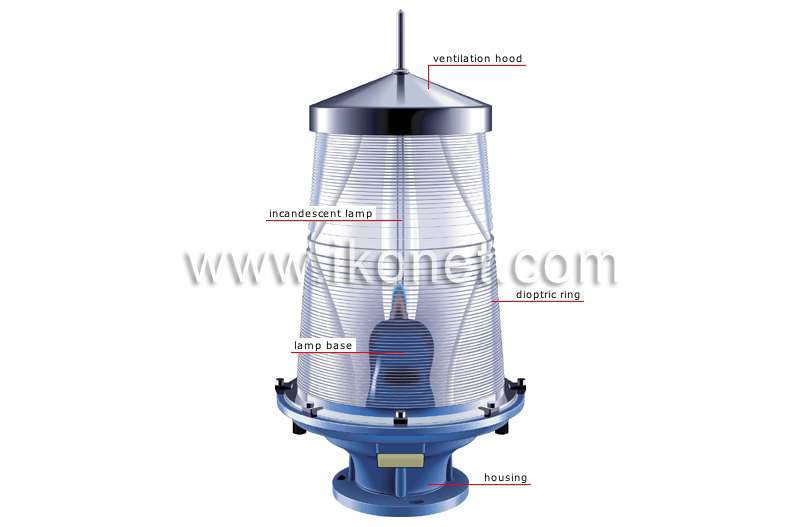 Part that allows excess heat to escape from the lantern.